Ramblings from an Over-Squozen Brain: Happy Birthday, Christian Challenge! Forty-one years ago today, Christian Challenge began. I was only 10 years old (about to turn 11), a little too young to fully appreciate the risk my parents were taking by starting a ministry on their own. But over the years, I’ve had the privilege of watching as they’ve walked out their faith in front of me, putting into practice the same principles they’ve taught along the way. I thought it would be appropriate, especially today, to take some time to talk about a few of those foundational principles that shaped their ministry, and impacted my life. I put this one first because it is the most important… because it is the heartbeat of Christian Challenge… and because without it, CCI wouldn’t exist. 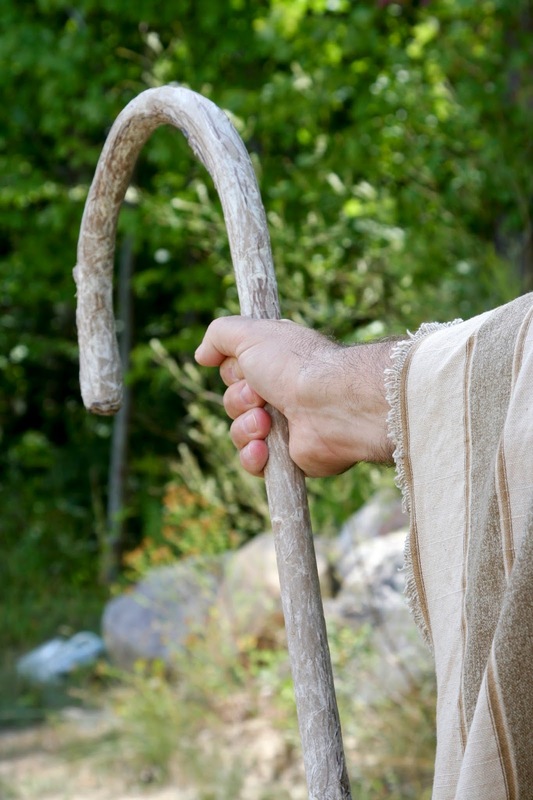 My parents began this ministry because they listened to the voice of the Shepherd. There were certainly plenty of other voices in their lives telling them that this wasn’t a good idea. 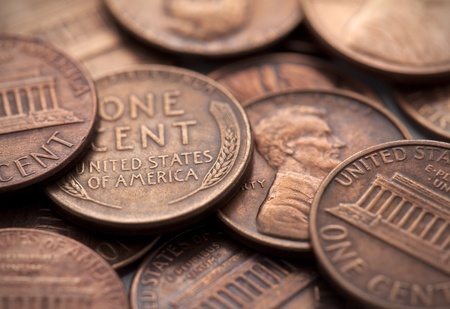 There were practical, financial concerns about raising a family with an uncertain income. There were the objections of those who considered my family to be “backsliders.” But my parents held fast to what they knew God had told them. Every believer should know and be able to distinguish the voice the the Shepherd. (If that didn’t sink in, or if you just glossed over it, please go back and rea it again. I put it in BOLD so it would stand out. Because it’s important!) John 10:27 says, “My sheep hear My voice, and I know them, and they follow Me.” (NASB - emphasis mine) It’s not enough to know about the Shepherd, you have to truly know Him! To hear His voice means that you can distinguish it from other voices in order to obey it. This is vitally important for the disciple because there are many voices in the world. When we talk about hearing the voice of the Shepherd or testing the spirits, it’s not some mysterious super-spiritual thing. In fact, it’s a very practical thing. I know my dad pretty well now. Not that he can’t still surprise me sometimes, but generally speaking, I know his heart and how he would respond. So if someone came to me and said that Bro. Buddy wanted me to start offering night-time culinary classes at church, I’d know right away that it wasn’t true. I wouldn’t have to ponder it or pray about it. And it’s not that culinary classes are bad. I’d just know that wasn’t my dad, it wasn’t Bro. Buddy. That’s the way it should be with us as we follow Jesus. Others may tell us that God wants us to do something - but if what they’re saying isn’t in line with what the Bible teaches, and doesn’t line up with what we already know and have experienced of God’s heart and character, we can safely discard it. It wasn’t the voice of the Shepherd. That’s why it’s so important that each one of us learn to feed from God’s Word for ourselves on a regular basis. As my dad has often said, “The Bible is God’s speaking place.” That’s where He meets with us and speaks to us. And that’s where we learn to recognize His voice. If you’re only hearing from God’s Word on Sunday, and haven’t become a self-feeder, you won’t know His voice. Maybe that’s why the apostle Peter encouraged us to “like newborn babies, long for the pure milk of the word, so that by it you may grow in respect to salvation,” (1 Pet 2:2 NASB - emphasis mine). This has long been one of Dad’s catch phrases, especially in the early days of Christian Challenge. The original building in Boyce was held together “with bailing wire and bubble gum!” At times it wasn’t pretty… but we made it work. Christian Challenge is only here today because my parents were willing to start with very little. Some people won’t start out unless the conditions are perfect. They won’t try unless they are guaranteed success. The best day to start serving God is today - not when you’ve solved all your problems or when you have more money in the bank. “Those days” never seem to get here. And while we wait for just a few more things to fall into place, we’re missing out on opportunities to serve God today. Bro. Buddy could have waited until he had an opportunity to get more formal training in ministry for himself before starting the School for Christian Workers. He could have waited until he had enough financial backing to build his own facility before starting services at Christian Challenge. But thank God he didn’t! Our unquenchable search for perfection often fuels our procrastination. And that keeps us from pursuing our purpose. If you wait for perfect conditions to follow your calling, you’ll never get started. If you wait until it’s easy, you’ll find it easier to wait. There’s no better time than NOW to step out in faith! Maybe that’s why Hebrews 11:1 says “NOW faith is the substance of things hoped for, the evidence of things not seen.” (KJV - emphasis mine). When the disciples wanted to send the crowd away to get food, Jesus told the disciples to feed them. The disciples protested that it would be too expensive and it would take a LOT of bread. Jesus asked a simple question, “How many loaves do you have?” They scrounged around and came up with five loaves and two fish, and asked how could that feed the thousands. But Jesus told them to start with what they had. And when He prayed, what they had was more than enough! Do the best you can with what you have. That’s good advice! When you don't know what to do, go back to the last thing you know God told you to do, and do that until He tells you something different! Bro. Buddy and Sis. Betty have modeled this in the life of Christian Challenge as well. Once you hear the voice of the Shepherd and you commit to doing the best you can with what you have, the next part is the most difficult. It’s having the longevity. It’s maintaining the focus. This piece of wisdom had a profound impact on my life. 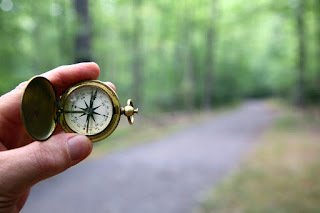 When I graduated from King’s Way Missionary Institute in McAllen, TX, it seemed that all of my classmates knew where they were supposed to go, except for me. I remember crying out to God for direction and the response I got was silence. I remembered what my dad had said, and the last thing I knew God had told me to do was to go to McAllen. So I stayed there for another 7 months, teaching conversational Spanish to the new students at the school, serving the small house church Russell Cobb and I had pastored together in Reynosa, and working for the Christian Book Shop. Which was owned by Dale Chapman. Who’s daughter, Lori, returned from Austin occasionally to visit. Who I wouldn’t have met if I hadn’t continued doing what God had previously told me to do. In December of that year the Lord released me to return to Louisiana, but not before planting the seeds that would result in Lori and me getting miraculously married 2 years later! Now can I confess something? (Or is it really a confession if it’s obvious to everyone?) I can be easily distracted sometimes. I have a lot of “ooh, shiny!” moments. Like when I’m preparing for a sermon and get sidetracked because I find an app I want to install, or see an unrelated article that I want to read. Before I know it, an hour or more has passed and I’m no closer to finishing the message! Sometimes we can be lured off of the course that God set for us because we see something else, something good, and we think we should be doing that too. There have been times in Christian Challenge’s history where we’ve had to take a step back and ask, does this fit into the vision and DNA of CCI? What were our original instructions - and are we still following them? I don’t know about you, but I want to be found faithful when the master comes! Are you confused about something? Does your life feel off-track? The best thing you can do is go back to the last thing you know God told you to do, and do that until He gives you new instructions! If you’ve gotten off-track, it may be that you stopped doing what God told you to do! Start back there and you’ll be amazed at what God can do! One definition of discipleship is “a long obedience in the same direction.” As I look back over 41 years at Christian Challenge, I can say, without any reservation, that I can’t imagine any better model of that kind of discipleship than Bro. Buddy and Sis. Betty. 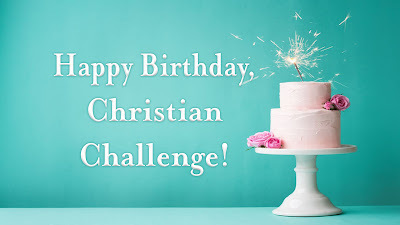 Happy birthday, Christian Challenge! And thank you, mom and dad, for demonstrating your faith in such a tangible way, and leaving us a trail of wisdom to follow.